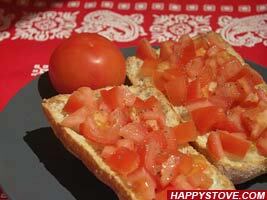 Tuscan Tomato Bruschetta is a very easy traditional Italian treat. The key for a great bruschetta is the use of quality ingredients such as fresh riped tomatoes, crusty bread and Extra virgin Olive Oil. This recipe is base for many variations and perfect as yummy and delicious appetizer or healthy and fresh snack. You can either reduce in very small pieces the fresh tomatoes or boil, peel and crush the pulp. In the meantime, toast the sliced bread in the preheated oven at 350F. The bread should be crunchy but it should not be brown. Remove the bread slices from the oven and when still hot rub a whole garlic clove on its top side. 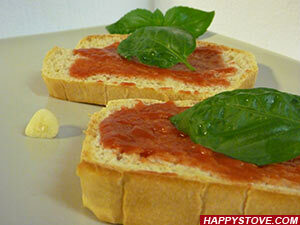 Top each slice with a tablespoon of the previously prepared tomato pieces. Drizzle with some extra virgin olive oil. Sparkle with some fresh chopped basil leaves and serve immediately. The original Italian recipes requires Tuscan unsalted bread. If you can't find it you can use Ciabatta bread instead. 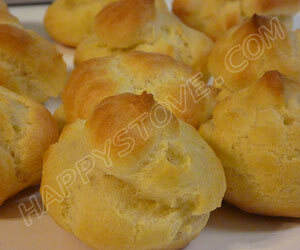 The secret for this recipe is the quality of the ingredients especially the olive oil. Best results are obtained with very ripe and red tomatoes. Some like better a bruschetta without the tomatoes others like to add more ingredients such as cheese, salami or prosciutto. 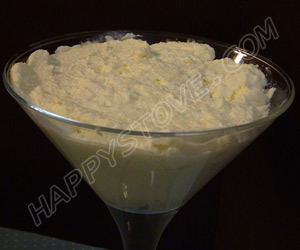 Simply follow this recipe as base and adapt it to your taste. If you can, instead of toasting the bread in the oven, use the barbecue. Just keep the bread far from the flame to avoid it to turn brown. The result is incredibly tasty.